This remote must be programmed by an automotive locksmith or dealer. 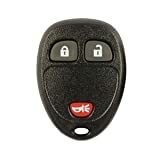 2006-2011 Chevrolet HHR Keyless Entry Remote 3.9 out of 5 based on 110 ratings. This entry was posted in BestKeys and tagged 2006-2011, Chevrolet, Entry, HHR, Keyless, Remote.